Introduce gradually over a two week period to a concentrated dose of ½ scoop per 300 lbs body weight. Mix with food. After 30 − 60 days it may be possible to reduce intake to ¼ scoop per 300lbs body weight. Introduire graduellement durant les deux premières semaines, arrivant à une dose concentrée de ¼ Mesure par 300 livres (135 kilos) de poids corporel deux fois par jour. Mélangez avec nourriture. Après 30 - 60 jours, il devrait être possible de réduire la dose à ¼ Mesure par 300 livres (135 kilos) de poids corporel une fois par jour. Le contenu est libre de tous ingrédients atificiels, préservatifs, additifs et allergènes communs. Conservez à la température ambiante 15 - 30 °C. Protégez de l'humidité. Goulot de la bouteille sous sceau de sécurité. Avis - Ne pas utiliser pour animaux destinés à l'abattoir. Introduzcalo gradualmente sobre un periodo de dos semanas hasta una dosis de ¼ pala por cada 300 libras de peso del animal dos veces al dia. Mezcle con la comida. Despues de 30 a 60 dias, es posible reducir la dosis a ¼ de pala por cada 300 libras de peso del animal una vez al dia. No utilice si el sello de la botella esta roto o danado. Los ingredientes no contienen ningunos: agentes de conservacion, aditivos quimicos o alergenos comunes. Conservar en un lugar oscuro, fresco y seco. Aviso: No usar este producto con animales destinados para la carniceria. 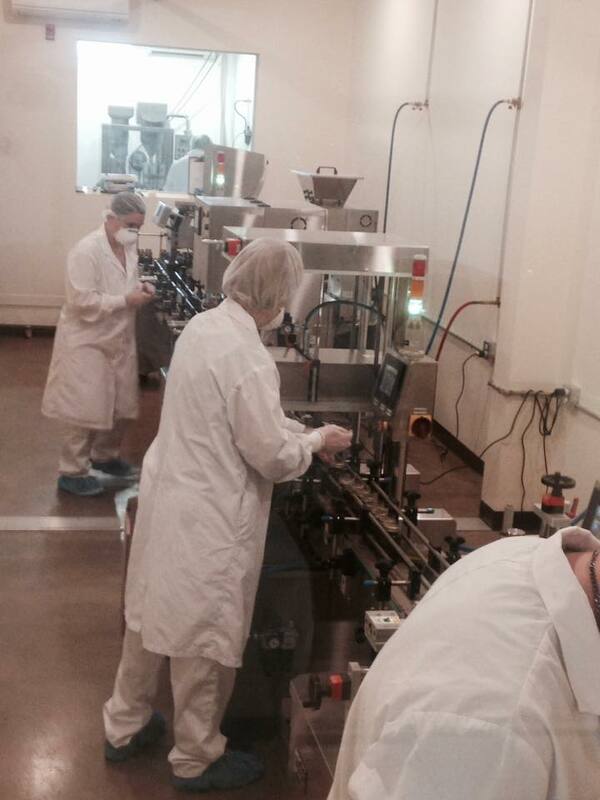 Good Manufacturing Practices (GMP) are the part of quality assurance that ensures that drugs are consistently produced and controlled in such a way to meet the quality standards appropriate to their intended use, as required by the marketing authorization. Part of the Health Products and Food Branch Inspectorate (Inspectorate) program is to conduct inspections of establishments that are involved in activities covered by the Establishment Licensing framework. 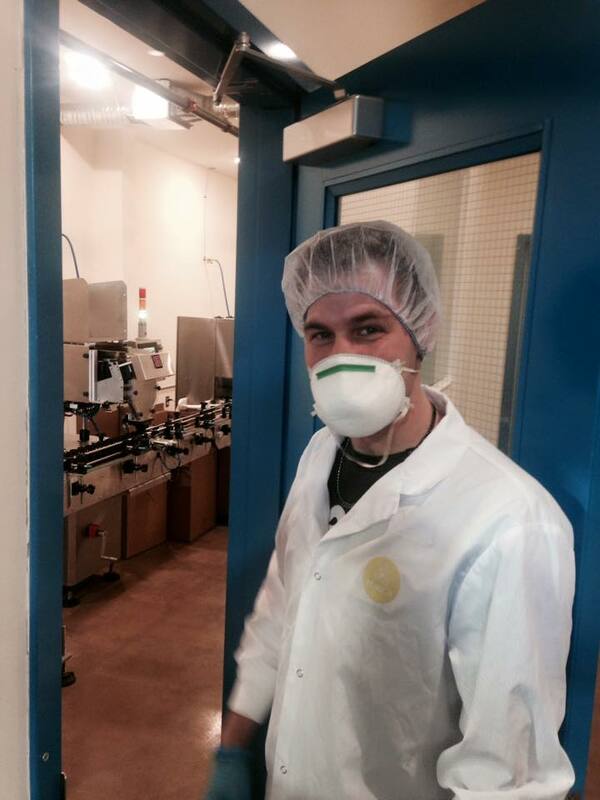 These inspections are conducted to verify the compliance with GMP (Part C, Division 2 of the Food and Drugs Regulations) which is a requirement for the issuance of an establishment licence. 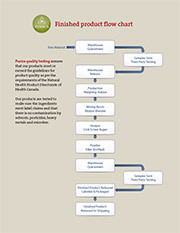 Purica quality testing assures that our products meet or exceed the guidelines for product quality as per the requirements of the Natural Health Product Directorate of Health Canada. Our products are tested to make sure the ingredients meet label claims and that there is no contamination by solvents, pesticides, heavy metals and microbes. The INP (Interim Notification Program) applies to LRVHPs ( Low Risk Veterinary Health Products) for sale in Canada that are for use in cats, dogs, and horses that are not intended for food. LRVHPs may only contain admissible substances that are found on the List of Substances including homeopathic medicines, botanicals, vitamins, minerals, fungi, bacteria, etc. Participation in the INP is voluntary. Inspired by Nature and backed by science, Purica has fast become a leader in the formulation of high quality health supplements. Over the past three decades, our human and animal health divisions have helped ease discomforts and renew energies, creating new horizons in health and wellness . Horses are very important members of our living world. Whether they be companion or working animals, their health and well-being is of great importance to us. A privately-owned company, we are proud to utilize the same high quality standards of manufacturing and testing for our equine products as for our human products. We steadfastly stand behind the purity and efficacy of everything we produce. Purica is proud to be located in the Cowichan Valley on Vancouver Island, just north of Duncan, British Columbia, Canada.